2010 was a "pop-punk" revival of some sort. No Sleep and Run For Cover Records rose up with excellent signings and many great pop-punk bands became quite popular such as Fireworks, Man Overboard, Transit, and This Time Next Year. 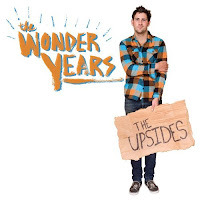 However, The Wonder Years may easily be the biggest breakout of this group of bands. Way back in January, the band released The Upsides which immediately became an anthem for many AP.net college students. The lyrics involved the hardships between friends, failed relationships with girls, and how to look past them. The opening track, "My Last Semester", immediately croons the listener with the absolute message of the album, as vocalist Soupy Campbell states that he's "not sad anymore, I'm just tired of this place". "New Years With Carl Weathers" represents the band's ultimate style, with the driving melodies and instruments along with humor and brutal honesty of the lyrics. "All My Friends Are In Bar Bands" is a perfect closer, as Soupy wonders about what has happened to his old friends and brings all his new friends (vocalists Matty Arensault of A Loss For Words, Dave Mackinder of Fireworks, Shane Henderson of Valencia, Jamie Rhoden of Title Fight, Nik Bruzzese of Man Overboard) to assist him in chanting the album's opening line again and again. The band has busted out huge this year, and has recently signed with Hopeless Records. The band recently re-released The Upsides on Hopeless with four new tracks, all of which are excellent. The positivity of the album brings a fresh breath into music that seems to be rather negative these days. Check out The Wonder Years on myspace here.